1. Buy one yard of silky furry fleece to make 2 capes. It is available at Joann's fabric and crafts both in the store and on-line. 2. Measure 18" (this is the halfway point of the one yard of fleece) on the fleece. Make a small cut at this 18" point. Then with all your strength tear the fleece into two pieces. 3. The edges of the silky fleece with naturally turn under, so there is no need to sew. Use a decorative brooch to join at the top and close the cape. Silky Fleece magically turns into a cape. 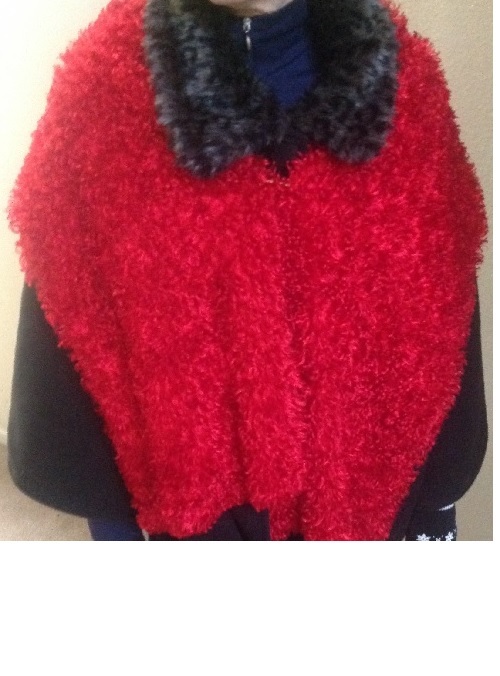 Lining can also be sewn on this cape, for a heavier warmer cape. The fabric can be cut larger for a longer cape. 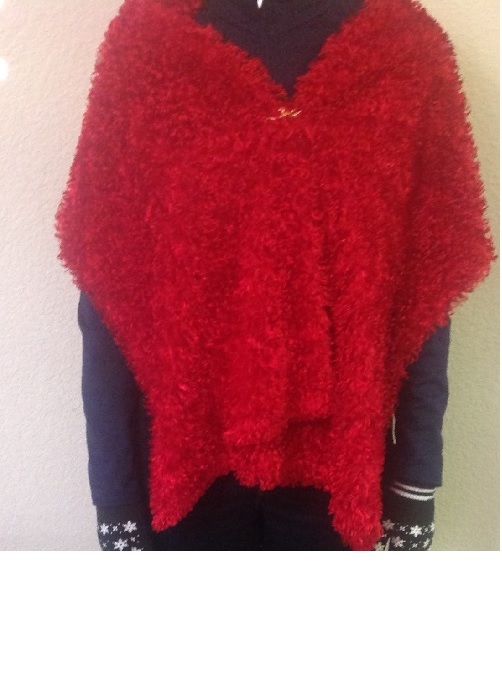 This cape can also be worn over another cape (as in the photo), thereby giving warmth and a new look to an old cape. Combine the cape with a contrasting color tear scarf and create an elegant look.